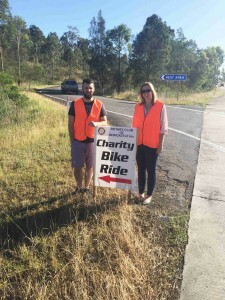 The annual Newcastle to Dungog Charity Bike Ride organised by Newcastle Rotary was was on again last month. 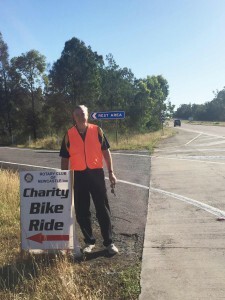 Like last year Strategic Group sent out their fearless leader CEO Chris Boswell to brave an early start and help the riders on their way to Dungog. Joined by Sarah Boswell and Evan Hoskins, the team made sure the riders were well hydrated on their 90km trek from Customs House Forecourt to Jubilee Park. The ride caters for all levels from professionals down to those just wanting to take it steady and enjoy the beautiful scenery. Proceeds from the Charity Bike Ride go to Hunter Medical Research Institute (HRMI) who lead the way in research for asthma, stroke, cancer, diabetes, mental health, nutrition and more. Strategic Group are proud to be a sponsor of this great initiative by the Rotary Club of Newcastle.